The Army Painter is the brain child of Bo Penstoft and Jonas Faering, both veterans of many years in the wargaming and hobby industry. The Army Painter founders have all in all fielded over 30 fully painted miniature armies, the product of countless of hours of work. But all those hours spraying, painting and shading are hours not spent at the gaming table! 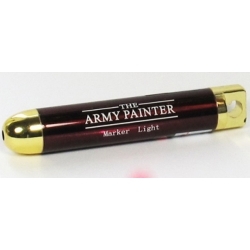 The Army Painters mission is to win back those hours and give you more time for gaming. 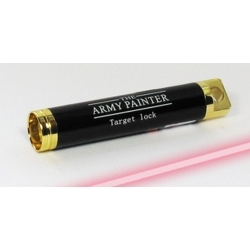 The Army painter consists of around twenty people all dedicated to create products that will bring your wargaming miniatures from unboxing to painted gaming standard effortlessly and fast giving you more time for gaming. Colour Primers, giving hobbyists and gamers the option of spraying on a miniature’s primary colours on instead of painting them on with a brush. So the miniature Colour Primer lets you basecoat an entire regiment at a time – giving you more time for gaming. Quickshade and the “Quickshade dipping technique”. What separates the novice from the master miniature painter? Most would say the shading and highlighting. Countless hours have been spent giving life to Orks, Elves, Space Marines and Marauders by painstakingly darkening shadows under arms, rifles and talons to make them lifelike. But what if hours could be made in to seconds? The Army Painter Quickshade Dipping Technique does exactly that, a quick dip of your miniature in the Quickshade and a vigorous shake followed by a day of drying and Voila! The miniature has been shaded to perfection, do this with an entire regiment at a time and you will have saved yourself days or even weeks of work. Finished off with The Army Painter anti-shine Varnish for an extremely lifelike result, in an outstanding Gaming Standard. 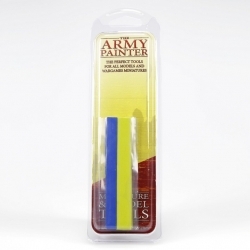 Together with the Quickshade and the Colour Primer The Army Painter produces a high quality Warpaints series consisting of basecoat colours, inks and metallic Warpaints that has one of the industry’s best coverages. 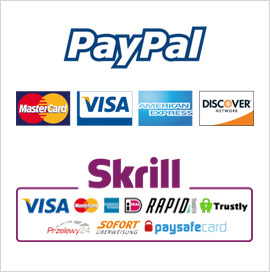 They are extremely easy to work with and yields fantastic results. 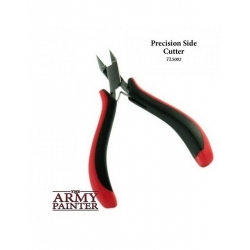 Last but definitely not least are The Army Painters line of exceptional hobby tool and wargaming accessories that make gaming and preparation of miniatures as easy as getting a Pack of Orks to attack a helpless village. Zombicide, SAGA, Flames of War, Imperial Skies and many more. What does the future hold for the army painter? Our mission is as always to Get More Time For Gaming. So we will keep on inventing and producing products that do just that. So in the future you will see a lot more interesting product from The Army Painter that will make any miniature army stand out and make wargaming easier and more interesting. GET MORE TIME FOR GAMING! Производитель: The Army Painter. Артикул: TL5002. Инструмент для моделирования. Производитель: The Army Painter. Артикул: TL5015. Игровые принадлежности. Производитель: The Army Painter. Артикул: TL5016. Инструмент для моделирования.